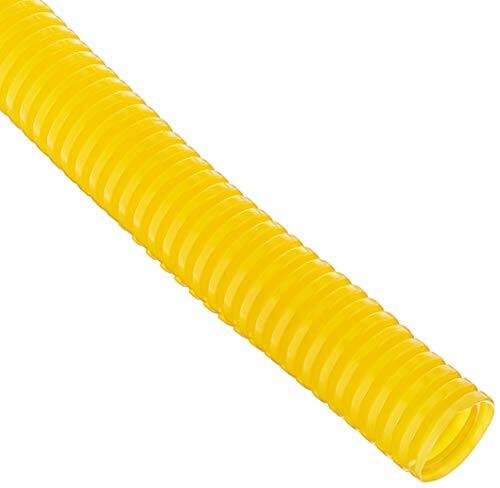 This yellow convoluted tubing is deal for organizing and eliminating clutter as well as protection from dirt and abrasion. It comes with an inside diameter of 1/2" with a length of 25-ft. It works great for shop and computer use and splits easily for wire insertion and removal.